With Series Ten (and current Doctor Peter Capaldi's final season) just ended and tomorrow's announcement of the Thirteenth Doctor, I figured it was time I tried my hand at a "Best Doctor" ranking. This was harder than I anticipated, and I've probably already changed my mind as you're reading this. First, a little about my Whovian cred: I'm an American and didn't get into Doctor Who until I saw the new series available on Netflix in the spring of 2013. I started with Eccleston's Doctor and watched all of the new series leading up to the fiftieth anniversary, which I was able to watch when it aired in November of that year. I liked the new series so much that I decided to take the plunge and watch all the classic episodes. Well, the ones that survived, anyway. (For those who don't know, a good chunk of the First and Second Doctor episodes are missing due to the BBC's junking policy.) I did, however, watch the recreations of those episodes so I have at least an idea of what they're all about. For any classic fans that hate the new series, I personally wouldn't have gotten into the classic series if it weren't for the new. And I'm sure I'm not the only one. A disclaimer: To this point, I've liked every Doctor, even if I didn't at first. This ranking is not a ranking of the actors, but their incarnation of the Doctor. I'm taking into account the Doctor's personality, stories, and companions, NOT the actor's abilities. If I were ranking them in terms of acting chops, this would be a totally different list with John Hurt taking the top spot. I'm also not including Peter Cushing's movie Doctor, which really had very little to do with the TV show, the two other actors besides William Hartnell to play the First Doctor, Tennant's Meta-crisis Doctor, or the alternate versions of future Doctors featured in the show. I'm also not ranking by the audio plays. I've heard that Paul McGann and Colin Baker's audio stories are especially fantastic, but as I haven't heard them, I'm only ranking based on the TV show(s). By the way, the caricatures are all my own original fan art. 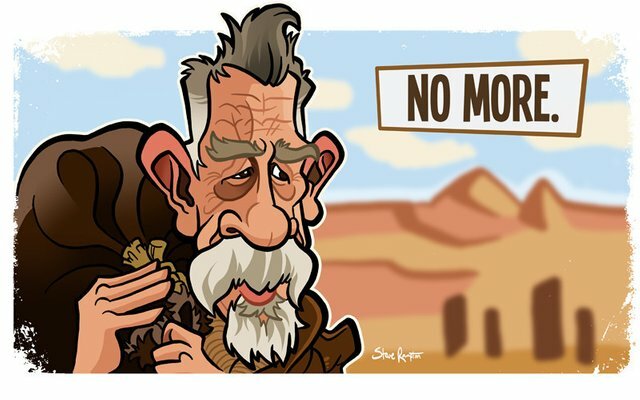 I've got an art shop here, please buy something to support this ongoing caricature project! It's cliche, I know. But he's usually last on these lists for good reason. I HATED this Doctor when I first saw his episodes. 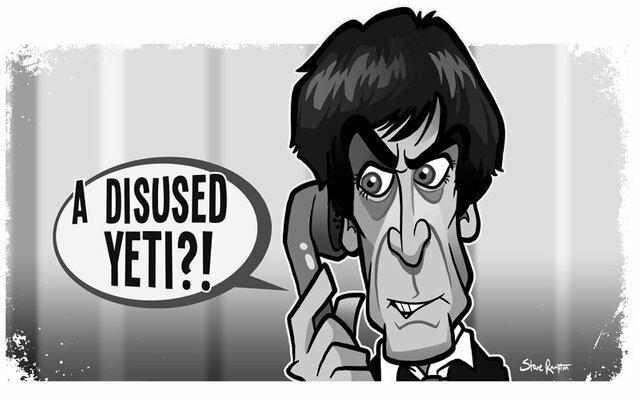 The BBC wanted an abrasive, darker Doctor, but went about it all wrong. His episodes are pretty bad, with maybe two exceptions, and one of them is only salvagable because Patrick Troughton is in it (The Two Doctors). His costume is an eyesore for a clown, much less for a dark persona. Add two of the worst companions on the show, and you've solidified last place. I've read that Baker wanted to dress in black, which would have been a more appropriate choice. Baker's one of the better actors on this list, so his last place ranking is totally the fault of the choices made by the BBC. The popular wisdom about Paul McGann is that he was great as the Doctor, but the movie was terrible. I totally agree. Some fans were upset that he had the first on-screen kiss with a companion, but as I was introduced to the show with the new series, this didn't bother me a bit. What did bother me was such a lackluster story and a terrible Master incarnation from Eric Roberts. It's like he couldn't decide if he was the Terminator or Dr. Frankenfurter. McGann, however, was great. He played an old but romantic soul, which at the time was a new spin for the Doctor. His mini-episode prior to the fiftieth anniversary was a great showcase for him, and what could have been. He only appears so low on this list because he has such a small amount of screen time, and it's not great. As I mentioned, John Hurt would be number one if I were ranking based on acting ability. Hurt only appeared in one full episode, but what an episode it was! The fiftieth anniversary special was just that: special, and it's largely due to John Hurt's War Doctor. So why is he ranked so low? Well, I just didn't buy him as a warrior. Hurt portrayed a conflicted man wonderfully, and he played the grizzled old codger wonderfully against two younger Doctors. But as a warrior? All he did was carve graffiti into a wall and then not use a doomsday weapon. That's the point, I know, but we should have seen him do more that would have driven him to a low point. 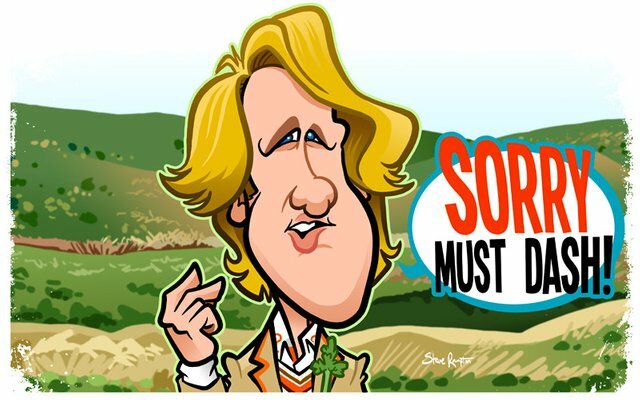 The Fifth Doctor suffers mostly from too many companions. Kameleon was a disaster and a waste, and Adric was insufferable. Why were we supposed to be sad when he died? (Thirty year spoiler, I guess.) Turlough started interesting enough, but once he decided not to kill the Doctor, the writers didn't know what to do with him. Nyssa was just "okay." I'm writing about the companions, and not the Doctor himself because he was just sort of bland. He was more sensitive than previous incarnations, which made him sort of a passive participant in his own adventures. The reason he's ranked higher than the previous ones in my list is because he has a couple of absolutely great stories, especially The Caves of Androzani, which is often cited as the best Doctor Who story of all time. I don't know if I agree that it's the best, but it's definitely in the top ten for me. Oh, and the celery in the lapel? Stupid. 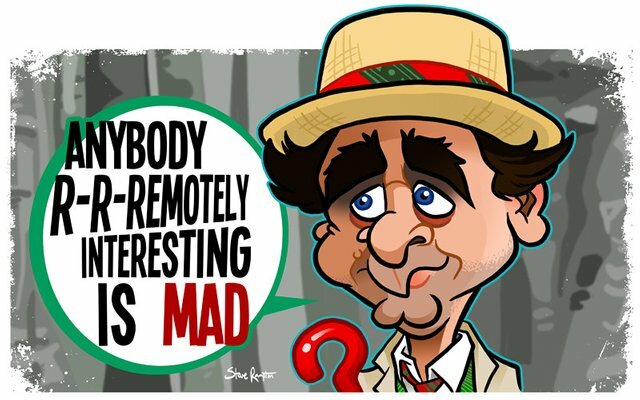 I love Sylvester McCoy's Seventh Doctor, and in Ace, he has one of the best companions of all time. So why did I rank him so low? Two reasons: After Colin Baker, you could tell the BBC just wanted a rip off of Patrick Troughton. McCoy made it work, though, and his darker persona in his final two seasons elevates his Doctor to more than just a Second Doctor rip-off. The second reason? His first season. 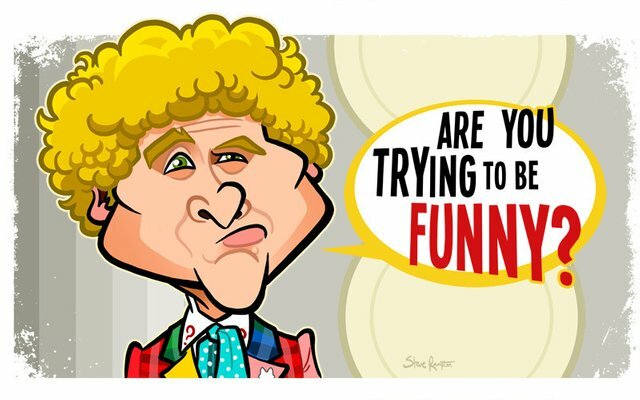 It's pretty terrible, and the writers were still figuring out how to bounce back from the fiasco of the Sixth Doctor's tenure. It's too bad the show was cancelled after his third season, because it was really starting to get good again. Maybe he'd rank higher if he were allowed to continue. I hate ranking Capaldi so low on this list, because he's one of my favorite actors in the role, if not my favorite. (Fun fact, he's also the only actor on this list to have won an Oscar.) He absolutely nails every speech and every script written for him. He's been a fan of the show since he was a boy, and his love for it drenches every scene he's in. So why so low? Well, he started out great. He was the first older, gruff (full time) Doctor for the new series, and you couldn't really tell if he was a good man or not. His first series was outstanding. However, I guess the ratings dropped because a lot of new fans didn't like a darker Doctor, and the BBC tried to make him "hip." The sonic sunglasses, the guitar, the hoodies... The Doctor lost his identity and never really recovered. It's fitting to me that William Hartnell would take the spot in the exact middle, because he was the standard for everything to come. He deserves a lot of credit for creating the basic template for the character, and turning the Doctor into the beloved icon he is today. Since he's the first, however, his Doctor's incarnation is almost impossible to criticize. You can't compare his Doctor to what came before, because nothing did. His Doctor had mostly fun stories, but quite a few stinkers, too. (Ugh, the moth people?) He had good companions (Ian, Barbara, Susan) and forgettable ones (Dodo). Average. I will say that of the gruff, abrasive Doctors, his was the best (so far). The Ninth Doctor was my first Doctor, and has a special place in my hearts because he was the first. Heart! I meant "heart!" Singular. 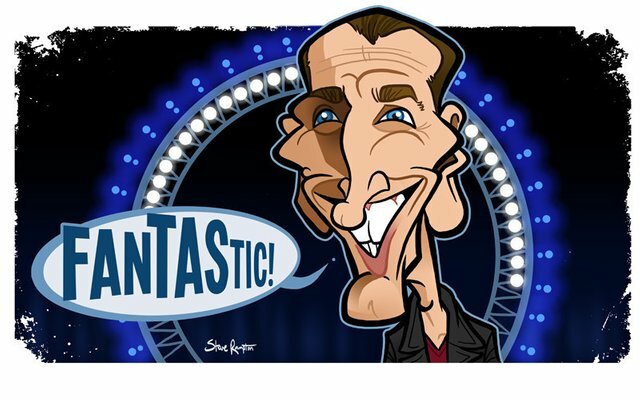 Eccleston had the unenviable task of making the rebooted show work, and I think he did it with flying colors. As I've mentioned several times, though, I'm not ranking the acting. I'm ranking the Doctor. Eccleston only stayed for one series. If he had stayed longer, I'm sure he'd rank higher. His Doctor was both dark and funny, and you didn't know if he was going to give you a hug or scold you for being another "stupid ape" ... (I love that scene from Father's Day.) His series is almost perfect, too. The farting aliens almost turned me off to the series, and the game show bits haven't aged well, but the rest of it is amazing. 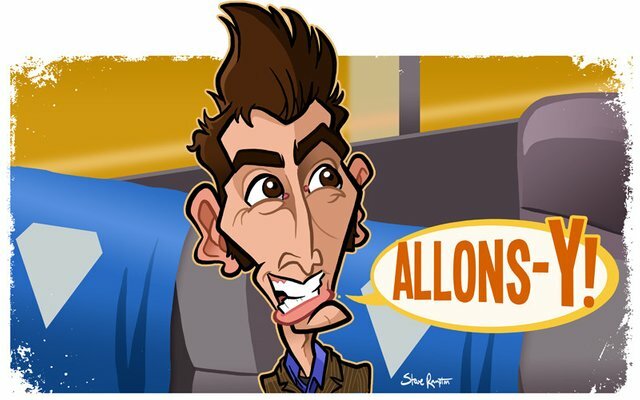 Anyone telling you to skip Eccleston and go right to Tennant are simply wrong. The Third Doctor has really grown on me after watching the entire series, and I didn't fully appreciate him until I encountered some of the later incarnations. 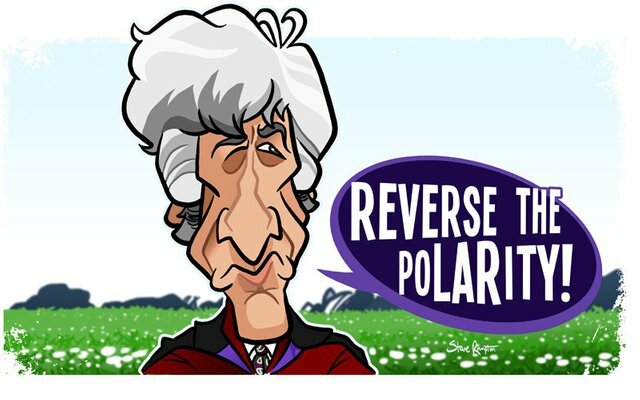 The series took a dramatic shift with the transition from Troughton to Pertwee. The most obvious was the introduction of color, but more importantly, the dynamic changed. Instead of a time and space traveling alien, Pertwee's Doctor was bound to 20th Century Europe. This makes Pertwee's Doctor perhaps the most unique because he's more an action hero James Bond character than Doctor Who. But amazingly, it worked! This is thanks to a fantastic companion in Jo Grant, a wonderful performance from Pertwee, and many classic, engaging stories. I'd be remiss if I didn't mention the performance of Roger Delgado, who played the first (and best, to date) version of the Doctor's arch-rival, the Master. I'm sure a lot of classic fans will hate that I've put Matt Smith so high on my list. I don't care. It's my list and Matt Smith's Doctor is great. His episodes are (mostly) very engaging, entertaining, and rewatchable. The criticism that he's all catchphrases and pretty boy charm are unfounded. His Doctor is a very old man with a young man's face. I always saw the silliness as a coping mechanism to hide his inner turmoil, and Smith pulled it off very well. I'm also a big fan of the River Song story arc, which actually spanned three Doctors but Smith's Doctor had the bulk of it. The idea of two people meeting each other on opposite ends of the span of their relationship is one of the most interesting ideas of the series, new or old. Vincent van Gogh meeting the Doctor is probably the best story featuring a historical person, and the Doctor meeting a personified TARDIS is another great addition to the lore. Smith's Doctor was there for all of it. It's hard to understate how important Patrick Troughton's Doctor was. If the audience rejected the regeneration, the show wouldn't have survived. It would have been easy to cast a Hartnell lookalike and try to copy his performance, but luckily the BBC went in another direction. While Hartnell's Doctor was cold at first but warmed to his companions, Troughton was immediately warm and inviting. He played the clown to get his enemies' guards down, but underneath the buffoonish exterior was a man not to be trifled with. It was Troughton's era that we got many first appearances of classic Whoivan icons: the first sonic screwdriver, the first appearance of Lethbridge-Stewart, and the first mention of the Time Lords. Troughton also had my favorite companion, and one of the best: Jamie McCrimmon. The only reason Troughton doesn't rank higher is because, sadly, most of his episodes are missing, and it's not possible to properly judge his tenure. Who knows? I may have ranked him number one. He's certainly my favorite incarnation. The episodes that survive are mostly fantastic, especially the epic War Games, still the best regeneration story. Some fans argue about Tennant vs. Baker as the best Doctor. For me, it's not a hard decision. Baker wins. But as for the best Doctor of the new series? It's easily David Tennant. He's got the best new stories, the best new companion (Donna), and he was the Doctor for the introduction of the best new villain: the Weeping Angels. For me, if I'm randomly going to watch a Doctor Who repeat, it's most likely going to be a Tennant episode. Hell, the first two episodes I show to a curious potential Whovian are Blink and Midnight, both Tennant vehicles. But what about Tennant's Doctor? Some fans don't care for his relationship with Rose, but as I mentioned before I came into the show with the new series so it never bothered me. Tennant's Doctor is funny but can turn darkly serious in an instant. He can be both compassionate and ruthless. He's heroic, dashing, and vain, yes, but he's also willing to sacrifice himself for his friends. In short, he's the Doctor, and Tennant's incarnation is beloved for good reason. Who else could it be, really? 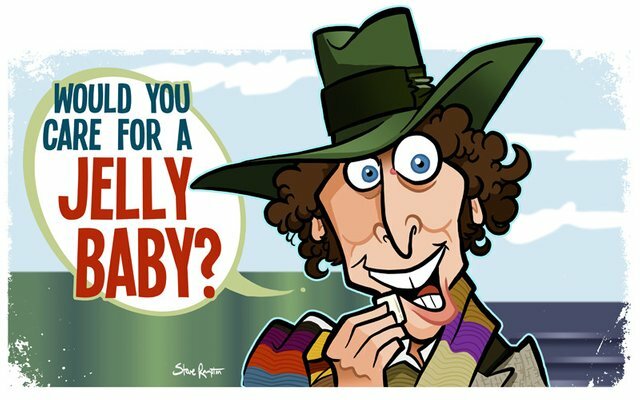 Tom Baker's Doctor was funny, dangerous, and touching. His Doctor was very alien, but also had the right amount of humanity. His tenure, while not only the longest, was the best received (though it started to stumble at the end). It brought Doctor Who outside of the UK, had the most all-time greatest stories, and the most popular companion in Sarah Jane Smith. Even non-fans can recognize Baker's Doctor due to his scarf, love of jelly babies, and wild-eyed appearance. In his own words, "You might be a doctor, but I'm THE Doctor." Truer words haven't been spoken. While he's not my favorite Doctor (though a very close second), I can comfortably rank him as the best. He does have my favorite story: City of Death. If you haven't seen it, stop reading this and go watch it. I don't think anyone will ever de-throne Tom Baker as the best Doctor, but I hope they keep trying. Those caricatures were worth an upvote in their own right and your comments on each of the Doctors made interesting reading. I'm not convinced I agree 100%, but then if you ask 50 different fans, you'll get 50 different answers so I think that's okay. Don't you think it's funny how Blink is often considered one of the best episodes of New Who, yet the Doctor is barely in it? As for my Doctor, that was Peter Davison. I remember watching the regeneration on television and then seeing it the next day on the News at Six. The effect looked a lot better as a child. 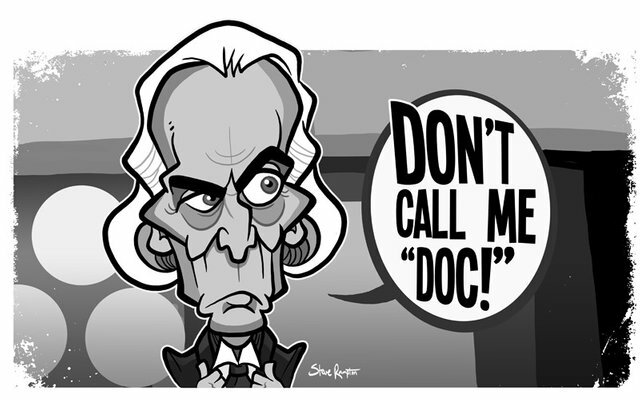 So that was the first Doctor I watched every episode of as it came out and I loved it. Oh and yes, I was sad when Adric died, it would have been nice to know if his last calculation would have worked. Thanks for the upvote, and the comment. 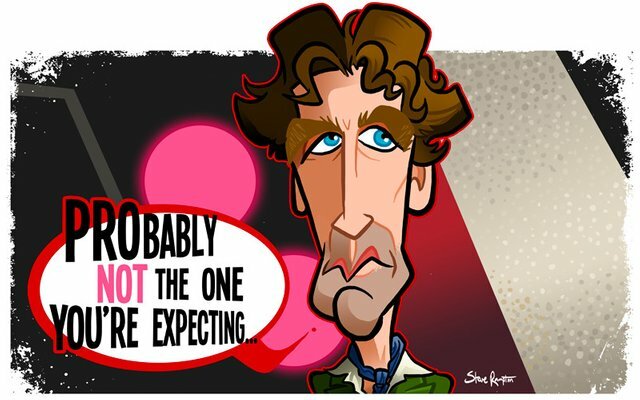 Glad you like the caricatures! 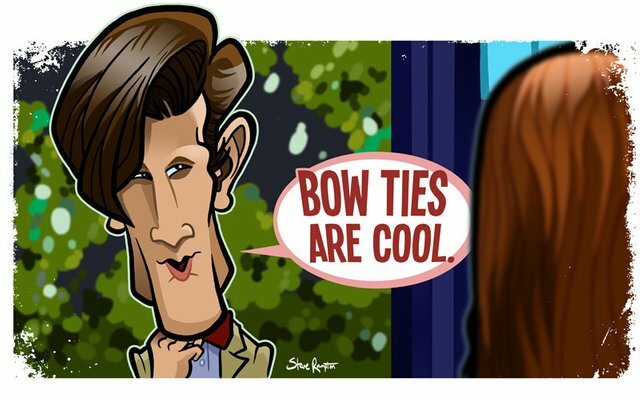 You're right, if you ask 50 Whovians, you'll get 50 different responses. Hell, I already want to shuffle my list a bit, haha. It's tough when you like them all. I do think it's funny about Blink... it's just so well written that the Doctor is unnecessary. That's the first one I show new recruits, then Midnight if they're into it. 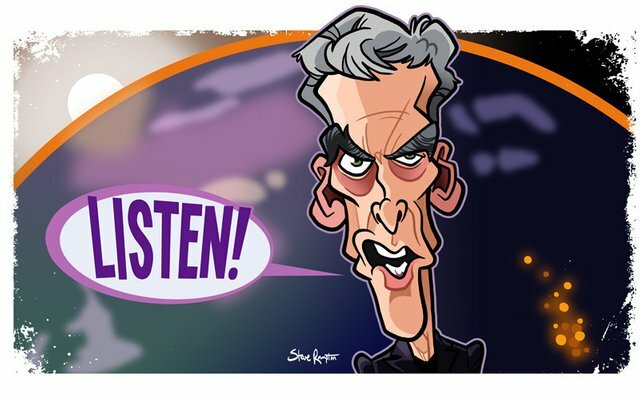 I'll add my Thirteenth Doctor caricature after we get a few episodes from her. I look forward to it, you need a taste of the character to put into the picture. Exactly. And a good quote.